My trip to the Ole Smoky Whiskey Distillery at its Barrelhouse location in Gatlinburg was certainly one to remember. As a whiskey newbie, I had only tasted just a few samples of the good stuff just recently. The Ole Smoky Whiskey’s friendly and fun staff welcomed me and put me right at ease as I settled in to sample a wide selection of some “damn fine whiskey,” as one Trip Advisor raved — and I soon found out he was right. Aged in white oak barrels, just a few of the whiskeys available included Mango Habanero, Blue Flame, Mountain Java, Salty Watermelon, Root Beer, Salty Caramel, and Caramel Apple. Samples are $5 each, with participants receiving a $5 coupon in return that can be applied to any purchase made at the distillery. My favorites included the smooth and sweet Salty Caramel and Caramel Apple. Ole Smoky is more than just a whiskey! Ole Smoky also has the Ole Smoky Holler, the country’s most visited distillery and the Ole Smoky brand’s flagship. The Holler produces all of the company’s signature flavors, including a few special varieties you won’t find anywhere else. Just a few of the Holler’s flavors include Apple Pie, Lemon Drop, and Strawberry. The Holler also offers live music, as well as the Ole Smoky Moonshine Barn, located at The Island shopping and entertainment complex in Pigeon Forge. The Ole Smoky Barn has hosted various popular musical acts, such as Easton Corbin, The Soggy Bottom Boys, and Billy Bob Thornton and the Boxmasters. 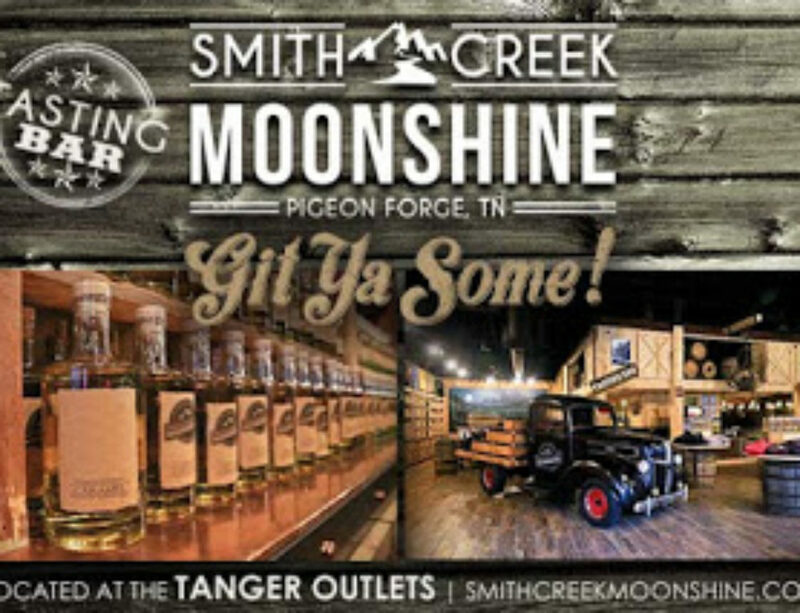 While you’re enjoying the live bluegrass and fun atmosphere at the Barn, sample moonshine and learn from moonshine experts and enjoy the experience. Ole Smoky offers excellent customer service and top quality products at each of their locations — plan your trip today! Also, be sure to look for coupons and special deals for Ole Smoky Whiskey in Best Read Guide. Ole Smoky Whiskey will be a favorite spot in the Smokies to return to time and again, whether you’re hosting friends and family or just want to make a getaway for yourself.